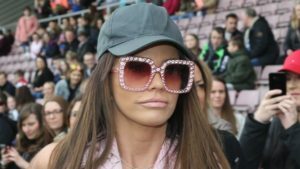 Probashbangla24 online Desk : Former glamour model and TV star Katie Price has been arrested on suspicion of drink-driving. The Loose Women panellist, 40, was held after police came across a damaged car stopped at the roadside on Shooters Hill Road, Woolwich, at about 02:00 BST. Scotland Yard said a woman inside the vehicle was arrested.